AnVir Task Manager for Windows 10 - A powerful utility that provides full control over the processes on the computer. 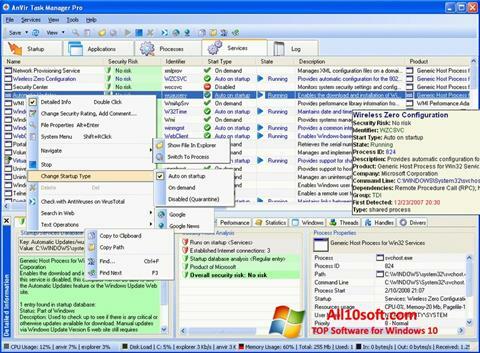 Easily identifies hidden processes running virus programs, worms. Allows you to remove programs from startup and clean up the garbage left by them in the system registry. In addition to the basic functions, the application performs flexible configuration and optimization of the operating system. Allows you to speed up and adapt network connections. You can free download AnVir Task Manager official latest version for Windows 10 in English.